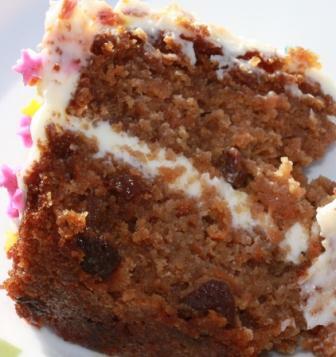 Deliciously rich and moist Gluten Free Christmas Cake. What could be a better start to your gluten free Christmas baking. Use our easy to follow gluten free cake recipe to create a Christmas cake that will win you lots of festive complements. We have included two decorating options, glazed fruit and royal icing with marzipan. This recipe is adapted from the Wheat Free Woman’s family recipe. Make one big cake or four smaller one as gifts for family and friends. Using a mix of sultanas, raisins, currants and dried cranberries soaked in alcohol, preferably overnight, means you get a moist gluten free Christmas cake that you can eat straight away or keep for months. You can vary the type of dried fruit you use, just make sure the total quantity is the same. We love this gluten free cake recipe. With its mix of dried fruits, spices like cinnamon, nutmeg and ginger, zesty lemon and orange, ground almonds and sticky treacle you get a more-ish gluten free Christmas cake that no one can tell is gluten free. Your family and friends will love to share this cake over the festive season. Baking for Christmas is such fun and there is no reason why gluten free Christmas baking should be any different. Use our decorating suggestions to make a cake that is uniquely yours. When making gluten-free recipes following a few simple rules will ensure your gluten free Christmas cake stays gluten free, we have some easy to follow tips on our Avoiding Gluten page. This recipe will make one 8inch/20cm round cake of around 2 kg (pre-cooked weight). Alternatively make four smaller gluten free Christmas cakes using 4inch/7cm round cakes. These make ideal gifts. And finally, you could make lots of individual muffin or cup cake size cakes, decorated in different ways – some iced, some with fruit. A fun way for everyone to enjoy the Christmas cake they love best. For glazed fruit cakes – mix of glace cherries and nuts of your choice. For Royal icing with marzipan – around 7 oz (200g) marzipan (depending on how thick you like it); for the icing - 2 egg whites and 1 lb (455g) icing sugar. 1. Pre heat oven to 350oF , 180oC degrees, gas mark 4. 2. Line the base and sides of your cake tin with greaseproof paper making sure that the paper comes above the sides of the tin since the cake will rise. Grease the tin with melted butter or oil before you add the greaseproof paper so the paper sticks to the sides. Then grease the inside of the paper once it is inside the tin. 3. Prepare a greaseproof "hat" with small hole in the middle. This is to protect the top of the cake while it is cooking. You need to cover the cake to stop the outside burning. 4. Put all the dried fruit in a bowl. Pour over the sherry and cover. Allow to soak for at least 4 hours but preferably overnight. 5. Just before you start preparing the cake mixture, drain the fruit and retain the sherry. 6. Grate the orange and lemons. 7. Put the orange and lemon juice in a pan and bring to the boil then simmer until it has reduced in size by about a third. Leave to cool. 8. Cream the butter and sugar. 9. Add the eggs, orange rind, lemon rind, treacle, sieved flour, ground almonds, spices and salt and mix well. 10. Fold in the soaked (drained) dried fruit then the reduced (cooled) orange and lemon juice. 11. Fold in a little of the excess sherry. Do this a bit at a time since if you add too much the cake will curdle. If the cake does start to curdle add a little bit of the gluten free flour (equal mix of plain and self raising flour). 12. Spoon into the prepared tin and cover with the greaseproof “hat”. 13. Place in the oven and bake for around 1 hour 50 mins. The time will vary depending on your oven so test the cake with a cake tester towards the end of the baking time. Your cake is ready when the tester comes out clean and almost dry but not completely dry. 14. Place on a cooling rack and allow to cool for about half an hour before removing from the tin. Remove the greaseproof paper gently from the sides and base of the cake. 15. Store the cake in an airtight container in a cool room (not a fridge). If you have time, soak the cake every few days in sherry before you decorate (a maximum of 3 times). You do this by pricking the cake all over from the top using a cake tester or a sharp knife and drizzling sherry over the top of the cake with a spoon. Put back in its airtight container between soakings. 1. Use a mix of glazed cherries and nuts to decorate your gluten free Christmas cake. To prepare the glaze, heat jam in a saucepan over a low heat until it is warm and liquid. Apricot is a popular jam to use. Add your cherries and nuts to the warm jam and soak for around 30 minutes before you place them on the cake. This makes them stick better and have a better glaze. 2. Place the fruit on the top of your cake. 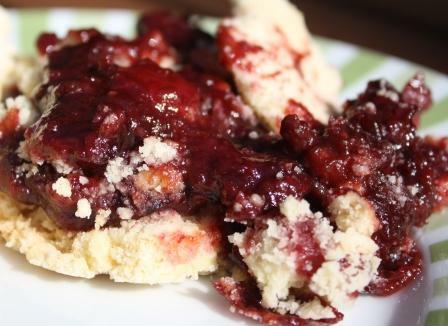 Brush the remainder of the warm jam (you may need to reheat it) over the decoration with a pastry brush. 1. Roll out your marzipan in two shapes – one long rectangle that will fit around the side of your gluten free Christmas cake and one circle that fits the top. 2. Warm jam (any kind will do) in a pan and brush over one side of the marzipan before placing the marzipan pieces onto the cake (jam side down). 3. Prepare marzipan decorations by colouring some marzipan red and green and cutting it into shapes such as a green tree or a red bell. Put in an airtight container to dry. 4. Leave the marzipan covered cake to dry in an airtight container, preferably for at least one week. The reason to do this is because the colour of the marzipan may “bleed” onto the white icing if the marzipan is not completely dry before you ice the cake. However this only happens if you keep the iced cake for weeks. If you are eating your gluten free Christmas cake fairly quickly then you can ice it straight away. 5. Prepare the royal icing by separating the eggs (discard the egg yolk or use for something else). Place the egg whites in a bowl and add the sieved icing sugar bit by bit until you get a stiff but spreadable consistency. 6. Spread the icing over the top and sides of the cake. You can either smooth it or leave it rough as a snow effect. Leave the icing to dry before adding the marzipan decorations otherwise the colour may run out of the decorations onto the white icing. You can vary the mix of dried fruits you use in your gluten free Christmas cake so long as you ensure the total quantity is the same. You can vary the alcohol you use to soak the fruit. You can also use fruit juices or cold tea if you prefer something non-alcoholic. Although be aware that these cakes may not keep as long as the ones soaked in alcohol.